Differin has an anti-inflammatory effect when it’s used, due to the active substance adapalene. It reduces soreness and irritation on the face, chest and back for acne. 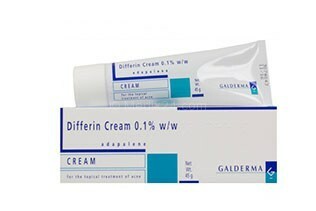 Although it is absorbed into the skin, Differin only has an effect on the surface of the skin. Available in: cream and gel. When to apply: Differin is applied at night before going to bed, unless your doctor has told you otherwise.